The word ‘plasmapheresis’ (meaning the withdrawal of plasma) was coined by Abel in 1914 to describe a process by which whole blood is withdrawn from the body and separated into its constitutive parts, the cells being returned to the body while the plasma is retained. 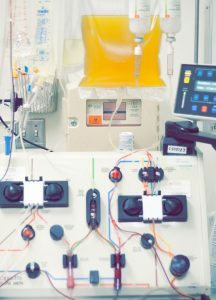 Plasmapheresis is a procedure in which whole blood is taken from a person and separated into plasma and blood cells; the plasma is removed and replaced with another solution, such as saline solution, albumin, or specially prepared donor plasma; and the reconstituted solution is then returned to the patient. Plasmapheresis is used in the treatment of many different conditions, including autoimmune disorders. 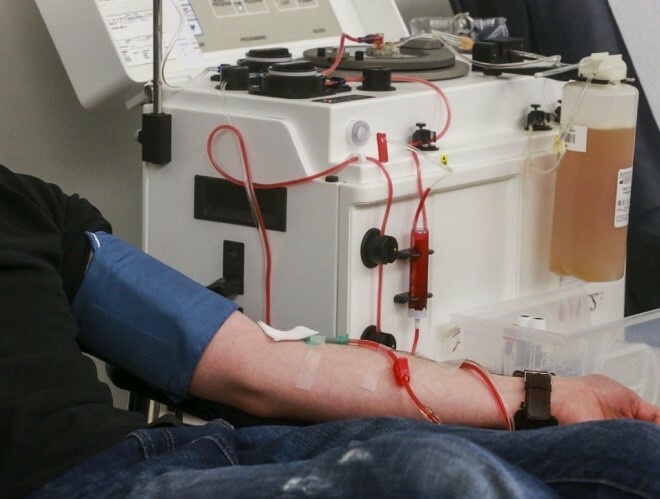 When the plasma is removed, it takes with it the antibodies that have been developed against self-tissue in an attempt to reduce the attack on the patient’s own body. Plasmapheresis carries with it the same risks as any intravenous procedure but is otherwise generally safe. In other words, plasmapheresis is a process that filters the blood and removes harmful antibodies. It is a procedure done similarly to dialysis; however, it specifically removes antibodies from the plasma portion of the blood. Antibodies are part of the body’s natural defense system which help destroy things that are not a natural part of our own bodies, like germs or bacteria. Although the term plasmapheresis technically refers only to the removal of plasma, it is also widely used to encompass therapeutic plasma exchange in which a replacement product is transfused after removal of the plasma. Erythrocytapheresis (selective removal of RBCs) is used in conditions such as sickle cell disease or malarial infection, in which RBCs are selectively removed and replaced with donor erythrocytes. Leukapheresis (selective removal of WBCs) is used in conditions such as hyperleukocytosis, in which pathologically high number of white cells are present (as, for example, in leukemia); it can also be used to collect peripherally circulating stem cells that can then be infused in an autologous or allogeneic stem cell transplant. Plasmapheresis is currently used as a therapeutic modality in a wide array of conditions. Generally, it is used when a substance in the plasma, such as immunoglobulin, is acutely toxic and can be efficiently removed. Myriad conditions that fall into this category (including neurologic, hematologic, metabolic, dermatologic, rheumatologic, and renal diseases, as well as intoxications) can be treated with plasmapheresis. 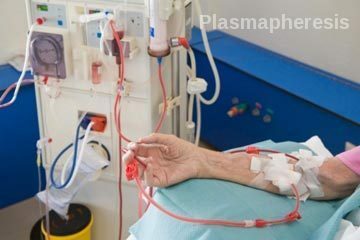 Therapeutic plasmapheresis is a process by which constituents of plasma that are supposed to cause or aggravate disorders are selectively removed. The remaining components of blood are then mixed with plasma substitute or an inert replacement and given back to the patient. Blood components that are removed may include immune complexes, lipids, antibodies, toxins, mediators of complement activation or inflammation. Molecules, that are supposed to be potentially harmful, are also removed. The Apheresis Applications Committee of the American Society for Apheresis periodically evaluates potential indications for apheresis and categorizes them from I to IV in the basis of the available medical literature. The following are some of the indications, and their categorization, from the society’s guidelines. Goodpasture syndrome (unless it is dialysis-dependent and there is no diffuse alveolar hemorrhage). Hemolytic uremic syndrome (atypical, due to autoantibody to factor H). Multiple sclerosis (acute central nervous system demyelination disease unresponsive to steroids). Hemolytic uremic syndrome (atypical, due to complement factor mutations). 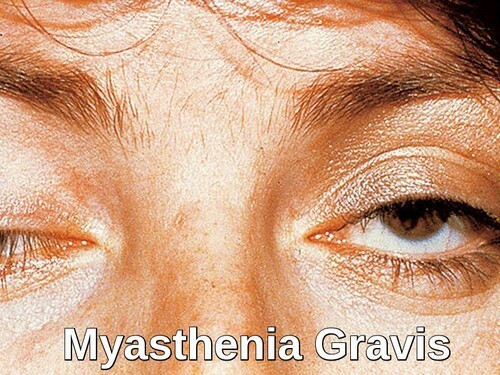 Autoimmune hemolytic anemia (life-threatening cold agglutinin disease). Autoimmune hemolytic anemia (warm autoimmune hemolytic anemia). Hemolytic uremic syndrome (typical diarrhea-associated). Premedication with acetaminophen, diphenhydramine, and hydrocortisone are often given. Patients can experience symptoms of hypocalcemia and or hypomagnesemia during and after the procedure and can be treated with replacement calcium and magnesium, respectively. Patients frequently become hypothermic during the procedure, in which case they should be warmed appropriately. Patients can experience transfusion-related reactions, in particular with FFP, and should be treated with diphenhydramine, hydrocortisone, and/or epinephrine depending on the severity of the reaction. These reactions can occur during and after the transfusion. Patients can experience hypotension as a result of rapid fluid shifts, and proper precautions should be taken to minimize complications such as unintended falls. Patients can become thrombocytopenic and hypofibrinogenemic after plasmapheresis (especially if albumin is being used as a replacement product) and should be monitored for signs of bleeding. Patients may also be at further risk for developing hypotension if they have a history of taking angiotensin-converting enzyme (ACE) inhibitors, in particular while undergoing column-based plasmapheresis. The suspected mechanism is related to increased bradykinin levels caused by the use of ACE inhibitors. This accumulation of kinins leads to hypotension, flushing, and gastrointestinal symptoms. Patients are therefore advised to stop all ACE inhibitors at least 24 hours before starting plasmapheresis. Patients who cannot tolerate central line placement. Patients who are actively septic or are hemodynamically unstable. Patients who have allergies to fresh frozen plasma or albumin, depending on the type of plasma exchange. Patients with heparin allergies should not receive heparin as an anticoagulant during plasmapheresis. Patients with hypocalcemia are at risk for worsening of their condition because citrate is commonly used to prevent clotting and can potentiate hypocalcemia. Patients taking angiotensin-converting enzyme (ACE) inhibitors are advised to stop taking the medication for at least 24 hours before starting plasmapheresis. 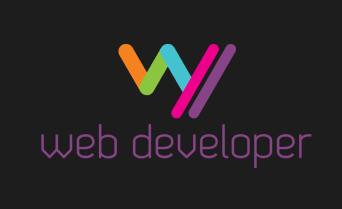 Schwartz J, Padmanabhan A, Aqui N, Balogun RA, Connelly-Smith L, Delaney M, et al. Guidelines on the Use of Therapeutic Apheresis in Clinical Practice-Evidence-Based Approach from the Writing Committee of the American Society for Apheresis: The Seventh Special Issue. J Clin Apher. 2016 Jun. 31 (3):149-62. McLeod BC, Sniecinski I, Ciavarella D, Owen H, Price TH, Randels MJ, et al. Frequency of immediate adverse effects associated with therapeutic apheresis. Transfusion. 1999 Mar. 39(3):282-8. Mokrzycki MH, Kaplan AA. Therapeutic plasma exchange: complications and management. Am J Kidney Dis. 1994 Jun. 23(6):817-27.